Different species of sandalwood are used around the world for aromatherapy, eastern medicine, religious materials, and cosmetics. It is known for its calming and soothing properties, which comes from its aroma. Sandalwood can also be used as a material for watches for men and women. 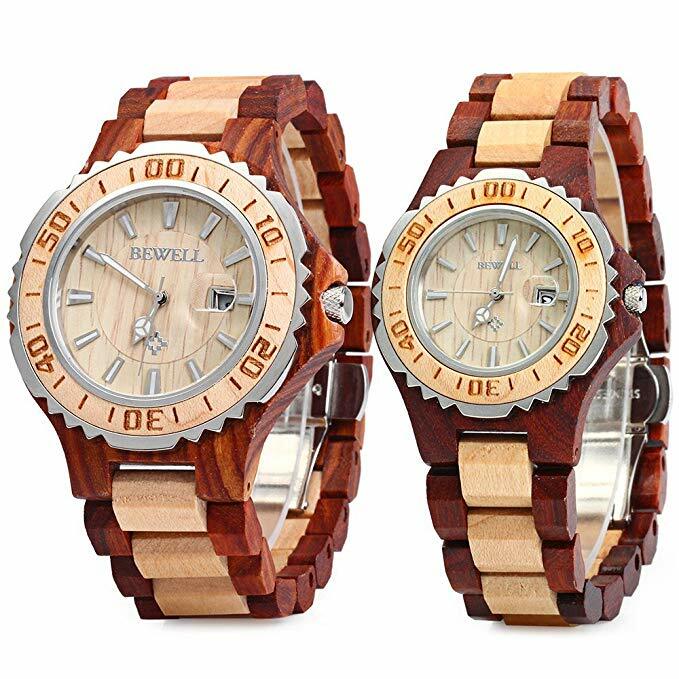 There are some of the sandalwood watches you can find on Amazon. Let’s start with a beautiful couple’s watch. The Bewell ZS-100B Couple Wooden Quartz Watch is a pair of retro-style watches made of natural maple and red sandalwood, so the first thing you’ll notice is its two-tone, wooden wristband. It comes with a high-quality, Japanese quartz movement for precise time-keeping, and its hands are luminous so you can still tell the time even if it’s dark. The wristband is adjustable to fit any sized wrist, plus it comes with a butterfly buckle to make it easy to take on and off. It can even be submerged to water up to 30 meters, but it shouldn’t be worn while swimming or bathing. The battery included in the watches can last up to 24 to 36 months. It’s a great gift to give to a couple, or for your lover (plus, you get to keep the other for yourself!). If you’re looking for a unique and useful gift for your man, get him the Bewell 100BG Wooden Analog Quartz Light Weight Vintage Wrist Watch. It’s uniquely made of natural red sandalwood that is handmade and hypo-allergenic. The dial and hands of the watch are luminous, so you can still tell time in the dark. It also features a high-quality Japanese movement, to keep time precise. It has a butterfly buckle to make it easy to wear and take off. This watch is packaged in a beautiful box, perfect for easy gifting to a special man. BEWELL W154A Wood Watches for Men is an impressive handcrafted piece made of two tones of sandalwood: red and black. It’s all-natural – no paint nor chemicals and it looks so stylish, with the woodgrain of sandalwood visible. It features a Japanese Quartz movement with luminous hands, with a sub-dial date display at the three o’clock position. This comes with a link removal kit so you can easily resize if the wooden band is too big for you. Bosan Wooden Wrist Watch with Genuine Leather Strap is another stunning timepiece for men. 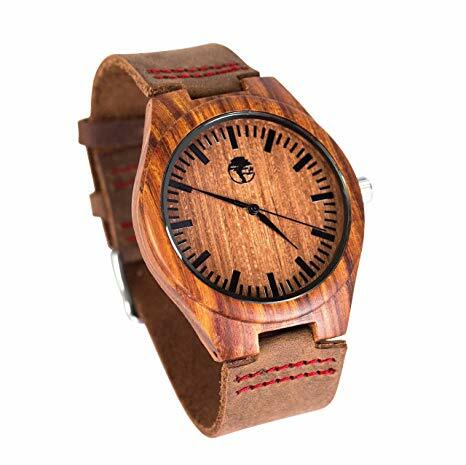 The watch itself is made of 100% natural red sandalwood. The band is made of lightweight, genuine leather which is very comfortable to wear. It has a simple and classy face, with numbers in Roman numerals. If you want a watch in a lighter color, Viable Harvest Natural Bamboo and Sandalwood Men’s Wood Watch is a great choice. Buy it for yourself or as a gift for someone. It’s perfect for casual to business attire. 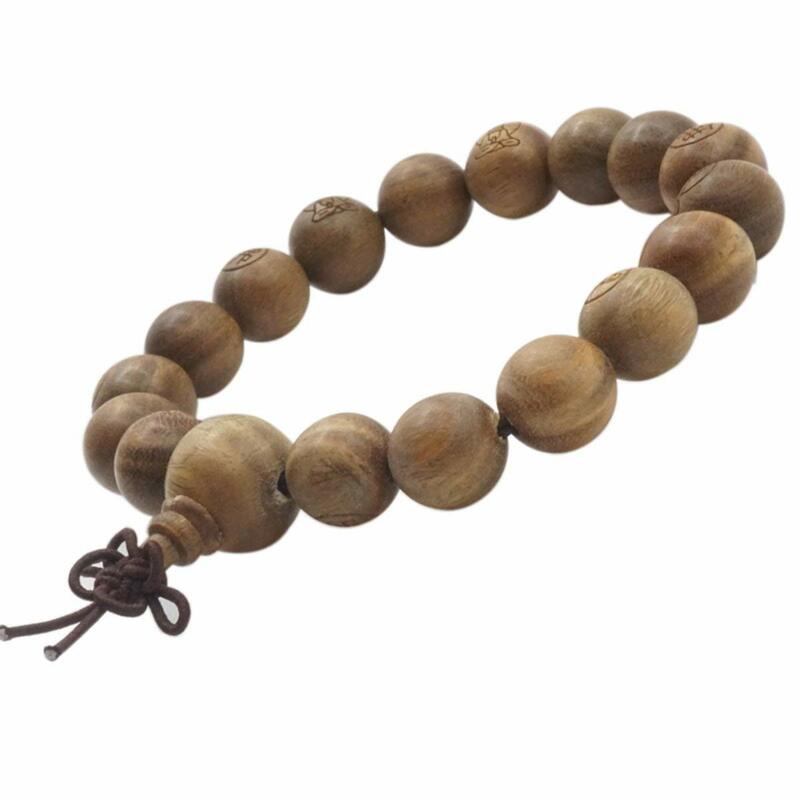 It is made of hypoallergenic organic sandalwood and bamboo and comes in a strap that is made of authentic leather that is soft and comfortable for the wrist. The watch itself is so lightweight and very easy on the wrist. Now let’s proceed to watches for women. BEWELL Casual Womens Large Dial Luminous Wristwatch is a stylish red sandalwood watch with a minimalist dial. The pointers and the watch hands are luminous, so you can still tell time in the dark. It’s equipped with high-quality Japan movement to ensure precise time. It’s very easy to wear and remove with its stainless steel fold-over clasp. If rose gold suits your fancy, Tempus Elenor TWW-03 Rose Gold Red Sandalwood Women’s Watch is the perfect sandalwood watch. It features a beautiful feminine design with a rose gold dial and crown that matches perfectly with the red sandalwood watch band. It has an earthy yet elegant look to it, making it an eye-catching piece for watch lovers. For a very unique timepiece, get the ECVILLA Sandalwood Wooden Quartz Movement Watch. The first thing you’ll notice about this watch is its triangular design. The watch itself is made of natural sandalwood and is hypo-allergenic and non-toxic. It also features a Japanese quartz movement to ensure the accuracy of time. Its band is made of matching synthetic leather that is friendly on the wrist. This watch comes in a beige gift box, making it easy to give as a gift. Lastly, FENDINA Real Red Sandalwood Waterproof Watch White Face and Leather Band is another beautiful choice for a women’s watch. It has a solid red sandalwood face covered with glass and a white leather band. It’s exquisitely handcrafted and equipped with Japanese quartz movement. The wood is natural and hypoallergenic, plus its genuine cowhide leather strap is comfortable. All these sandalwood watches are great to consider for someone who wants to wear a watch but is allergic to metals. Sandalwood is gentle on skin – it even helps relieve itchiness! But having a sandalwood watch means you have to take extra care of it; try not to get it wet and don’t soak it in water to prevent damage to the wood and to the watch itself. Also, don’t expect to receive a watch that looks exactly the same as advertised – if the sandalwood is natural, expect the wood grain and even the color to be unique. Whatever you pick from these featured items, you’ll surely appreciate the beauty of sandalwood in it.